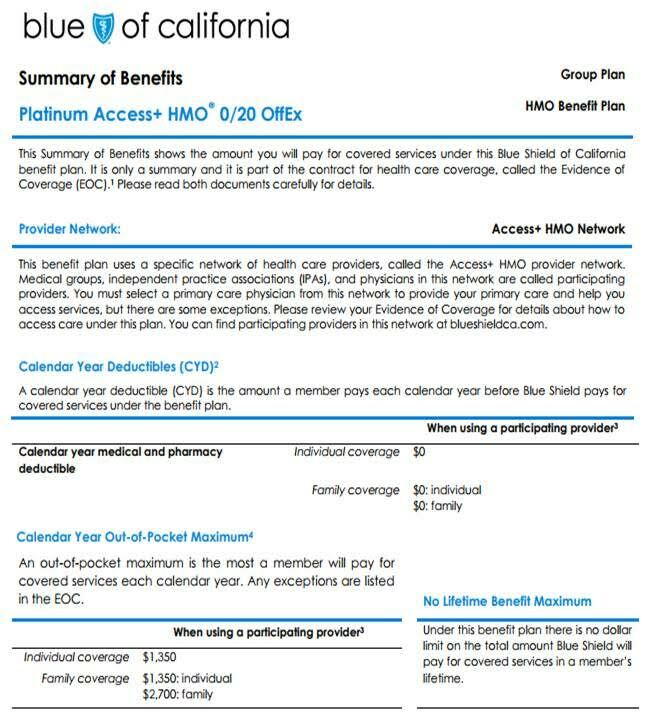 Give your small group clients more product and network choices with Blue Shield’s Trio ACO HMO Network, new Tandem PPO Network, expanded dental PPO network (more than 45,000 access points), and vision provider network — the largest in California. Expands with new medical groups and hospitals in 24 California counties. Plans can be offered alongside Blue Shield’s full network Access+ HMO® plans for savings and flexibility. Visit blueshieldca.com/aco for more information. Exclusive provider network with lower rates than Full PPO Network plans with the same plan benefits. New providers and counties are continually added. Determine network access by zip code with the Trio qualification tool. Chiropractic services are embedded in all 2018 PPO Savings plans. Beginning with October 2017 effect dates, HealthEquity is now offered as the health savings account (HSA) administrator for all PPO Savings plans, including Silver 2000/20%. All 2018 HMO plans can be offered with or without supplemental infertility (INF) coverage. Renewing groups with Off-Exchange HMO plans will be mapped to plan without INF coverage. To select supplemental INF benefits, a group must complete a Request for Contract Change (RCC) form. Renewing groups that have selected the INF rider for Off-Exchange PPO plans will be mapped to HMO plans with the INF rider as well. Selecting the optional INF rider applies to all plans and members. An optional benefits rider for supplemental INF will be offered for all Off-Exchange HMO and PPO plans and is included in renewal kits. No-cost vaccines at retailers for HMO members (already available for PPO members). Medical plan rates will increase 1.1% for PPO plans and 2.4% for HMO plans. Dental, vision, and life insurance plan rates will remain unchanged. Rate information and sheets are available on Blue Shield’s Broker Connection. Use the new 2017 and 2018 version of the Master Group Application (MGA), based on the group’s effective date. Old versions of the forms WILL NOT be accepted. Starting in 2018, Summary of Benefits (SOB) will replace Benefit Summaries. Coverage information will be in a new easy-to-understand simplified format (example). The new Enrollment Spreadsheet reduces errors and turnaround time on new group submissions. Download the Forms and Applications. 25% participation requirement for groups (1-100). Trio-only medical plans waived participation requirement. Waived requirement for DE9C, Owners Compensation and Ownership documentation. Flexible document requirements for Refusal of Coverage and DBA submissions. Start-up group start date based on hire date of eligible common law employee. Quick Match streamlined life insurance underwriting. Download the brochure for details. What’s New for 2018 quick reference guide. Blue Shield’s small business sales resources. Check out Blue Shield’s Broker Connection to learn more.